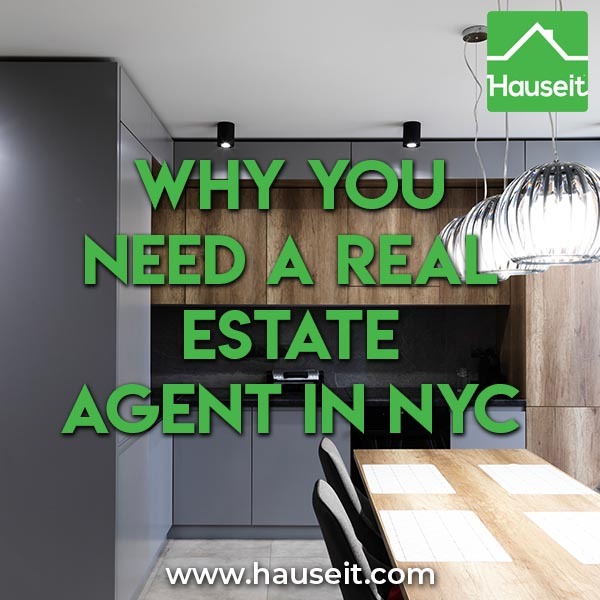 With consumer real estate search websites like StreetEasy more popular than ever, why do you still need a real estate agent in NYC? When selling your home, the main reason why you need a real estate agent in NYC is for someone to give you a professional and realistic assessment of what your home is worth and what your initial listing price should be. Home owners are typically too rosy in their assessment of their property value, as evidenced by the numerous FSBO (for sale by owner) homes listed at way above market value prices. It’s just bidding and negotiating on real estate right, how hard can it be? These are all the wrong reasons to go it alone. First of all, listing agents in NYC are almost all members of REBNY (Real Estate Board of New York). This means their brokerages have all entered into contractual agreements with all other member brokerages to automatically co-broke their listings with other member brokerages. That means that listing agents by default must be willing to work with and share their commission with buyers’ agents. Not doing so is a serious violation of the contract their firms have signed and would result in heavy fines. First time home buyers almost always underestimate the importance of having an agent negotiate on their behalf when it is one of the most important reasons for why you need a real estate agent in NYC. Buying a home, especially for the first time, is a major life decision and often the biggest purchase a person makes in their life. When a buyer is making such a major investment in an asset class they are new to, they are prone to become very emotional and even suffer buyers’ remorse. It is for this reason that having an agent to negotiate on your behalf is extremely important. An emotional buyer can explain harshly why he should pay less for the property through the moderating filter of his agent without insulting the seller and disrupting the sale process. An emotional buyer can also find comfort in the industry experience of a buyer’s agent in analyzing comparable properties and pricing. This is especially comforting when a buyer purchases a property in an expensive price per square foot neighborhood like Meatpacking or the West Village. No buyer wants to feel like he overpaid, and being able to talk with an industry expert who is also his adviser is extremely comforting in these situations. Searching by yourself is extremely easy these days on the internet. There is no doubt that StreetEasy or Zillow makes it very easy to save searches and find what you want by yourself. However, even if you have time and are willing to do some of the legwork yourself, there’s no reason for you to forgo the free service of veteran buyers’ agent. Moreover, for those who are willing to search and do property viewings on their own we are happy to pair you with a top affiliate broker who will offer you $20,000 or more off your final home purchase price. They will typically share a portion of the commission they earn from the listing agent with you at close. This can be either done via an actual discount of the final, negotiated sale price or via a check presented to you after closing. However, most people will not mind working with an experienced buyers’ broker who they know is in the market every day and is extremely motivated by the commission they will earn from the listing broker. Most busy New Yorkers welcome the opportunity to have a real estate professional coordinate their showings, open house tours and negotiate on their behalf. Most buyers realize that even though they are promoting the agent system by working with a buyer’s agent, the fee is entirely paid by the seller regardless of whether they are represented or not. Moreover, if they never sell, they may never have to pay a sales commission in real estate!